The Needs of the Pet Come First. All of your pet’s needs under one roof. It’s official: The Pet Doctor became the world’s first Fear Free Certified Veterinary Practice! Using patient focused care and low-stress handling techniques to protect and enhance the bond between people and their pets. Thank you for making us your preferred O’Fallon veterinarian. 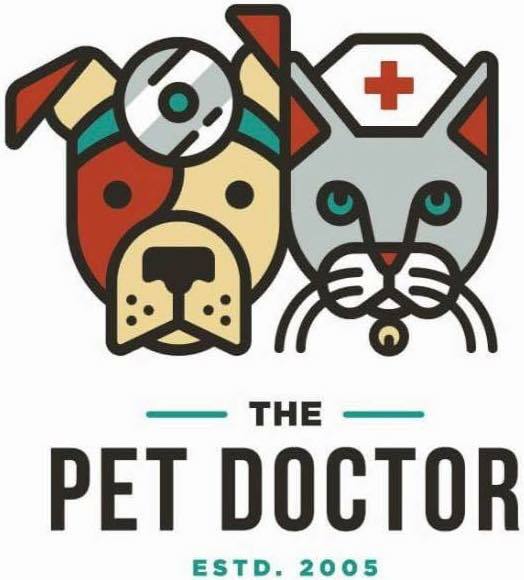 At The Pet Doctor, we believe that the focus of veterinary medicine is the bond between people and their pets. We dedicate ourselves to our clients and their companions by providing comprehensive, state of the art veterinary care in a professional, modern environment. Our strong work ethic is established by maintaining a compassionate and devoted staff of veterinarians, registered veterinary technicians, veterinary assistants, and kennel assistants. We are committed to client education, individualized preventive health care and the diagnosis and treatment of disease. Our vision is for our practice to succeed through client satisfaction, personal and professional enrichment and reinvestment into the practice and community. Watch our video and get a dog’s eye view of our new hospital! The Pet Doctor is an accredited member of the American Animal Hospital Association (AAHA). We are proud to be part of this accreditation. Only 15% of veterinary hospitals in North America are accredited by AAHA and reach this high quality of care. There are various pet insurance options to choose from. Click the button below to compare the various options and make the best decision for your family. Thank you for not declawing cats! Any veterinarian who does not perform barbaric outdated unnecessary p3 toe amputations on a once healthy cat is tops in my book. I take my cats and dogs to a veterinarian who does not declaw cats, even if I have to travel an extra 20 minutes, it is worth it, they don’t cry and whine in the car anymore like they used to when we used our ex-vet who declawed. Animals are sentient beings, not property for humans to mutilate. No wonder they used to cry on the way to our ex-vet, they were wondering if any of their body parts were going to get amputated. Donna D.
I wanted to update my review. Previously on here, I mentioned that I had a sub-par visit at The Pet Doctor. I have to say that I spoke with the staff and Dr. Hammerle and I have never felt more valued as a customer. She called me personally to discuss the issue and it was resolved very fast. Nara LOVES the staff there and they have the best interest at heart. I have never been treated so well by a vet clinic. Dr. Hammerle values every client and looks at building a lifetime client and I will take my current, and future pets to The Pet Doctor. Thank you for seeing Nara and thank you for making me feel like I have a voice within your company. I know you and your staff genuinely care for my dog and what is best for Miss Nara. My cat, Dave, was brought into the clinic because of a cancerous mass in his mouth. Marcy took a look and said it was definitely removable. They took such great care of my furbaby. I would probably still be in tears today if it hadn’t been for them. They are a wonderful team!!! They called the day after surgery to see how he was doing. Marcy, you’re awesome! Thank you all for everything! P.s the facility is amazing! Kim B. Questions or comments? We’d love to hear them! Remember, we don’t answer medical questions online. Please call our office at 636-561-9122 to schedule an appointment for specific questions regarding your pet’s health.